Free at last, free at last? Thank Xenu Almighty! Don't forget to set your TiVo, Tom. Emmy-nominated episode back into the Comedy Closet, along with Tom Cruise, John Travolta and R. Kelly? We shall see, we shall see... Meanwhile, set your TiVos! While Comedy Central failed to publicly disclose its reasons for yanking the program (which is also credited for leading Scientologist Isaac Hayes to jump ship as the longtime voice of Chef), creators Stone and Trey Parker didn't shy away from broadcasting what they claimed was the network-sanctioned reason. 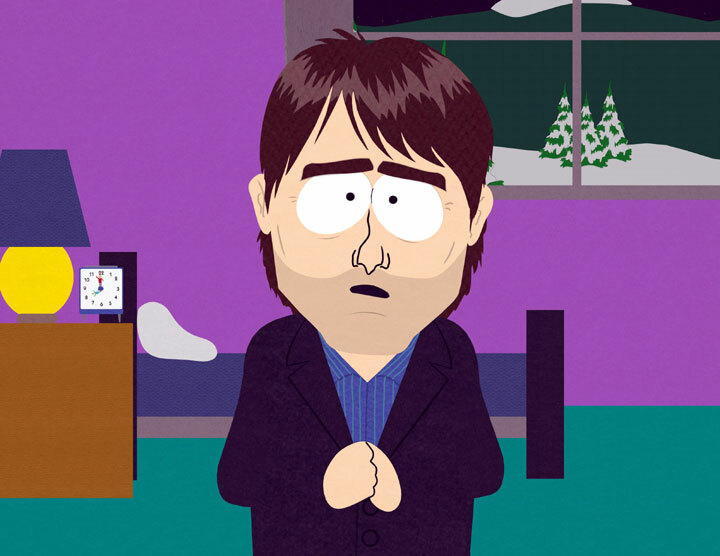 Cruise's reps vehemently denied such allegations, but the "South Park" brain trust stuck by its guns. "I only know what we were told, that people involved with 'M:I:III' wanted the episode off the air and that is why Comedy Central had to do it," Stone says in Variety. "I don't know why else it would have been pulled." Now, Cruise's saturation-level publicity tour is over (and proved fairly ineffective, with the sequel grossing a disappointing $133 million domestically) and he is apparently in hiding with his new baby.